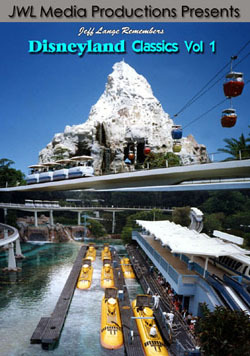 « All New Release – Jeff Lange Remembers Disneyland Classics – Vol 4 DVD. 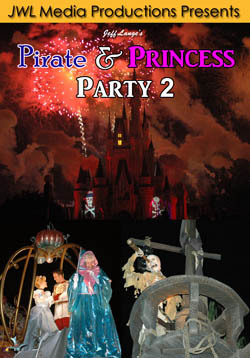 Jeff Lange returns with a second DVD featuring the Pirate & Princess Party at Walt Disney World. 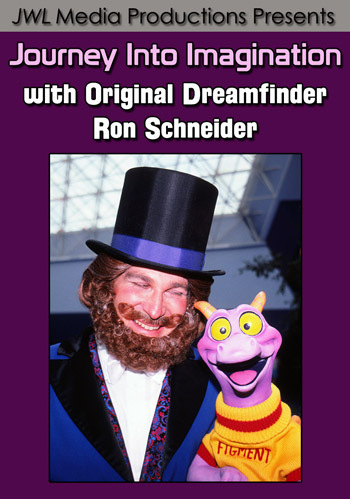 This new production features the Disney Characters as you’ve never seen them before! Watch all your favorite characters come to life as they speak and blink their eyes. The show explores the power of dreams and features Mickey & The Gang, Princess Aurora, Snow White, Cinderella, Peter Pan, Captain Hook, Swashbuckling Pirates and the evil Maleficent. 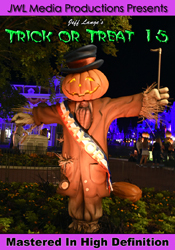 This updated parade, shown only on party nights, features all your favorite Pirates & Princesses. Hi-lights include a pirate ship overflowing with swashbuckling pirates, Tinkerbell atop a sparkling treasure chest, the recently added Tick Tock float and much more! The Parade concludes with your favorite Disney characters dressed in their Pirate & Princess finest! Learn about pursuing life in the pirate trade from Captain Jack Sparrow and his first mate Mack. This is a hilarious presentation from the all new Pirate Party Stage in ‘New Tortuga’ (Adventureland). This exclusive pyro technic extravaganza has become the new Disney standard in nighttime entertainment. Highlights include the Sleeping Beauty fairies color fight to have a blue or pink castle and the Pirates attempt to take over the castle ending in an all out battle featuring explosions on the castle itself! Tinkerbell takes to the night sky and saves the castle with a wave of her magic wand. 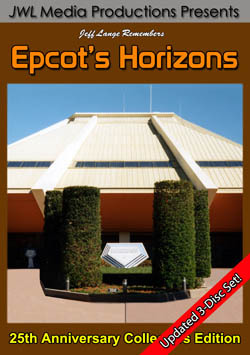 Extras – Also includes party atmosphere footage featuring the red carpet entrance, special lighting and character greetings. Pick up a copy of ‘Jeff Lange’s Pirate & Princess Party 2’ today and relive all the magic or experience it for the first time.